The Spree SmartCap has already won its share of honors. It landed Sports Illustrated's nod for a “Best in Show” product at the 2014 Consumer Electronics Show (CES) event, and it's also been on the receiving end of several great reviews. Now, it's got one more feather for its increasingly-laden cap: it's taken a 2015 Wearable Technology Product of the Year award from TMC. The device itself was designed as a way to more readily track several fitness metrics not from a device worn around the chest, but rather from a device worn on the forehead, held in place with the simple expedient of a baseball-style cap. 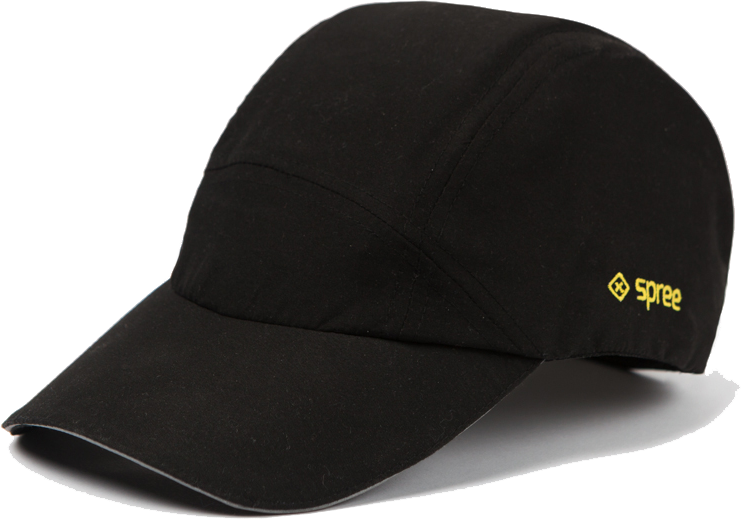 As described by Spree Wearables president Peter Linke, the Spree SmartCap was originally intended to set “...athletes free from their uncomfortable chest straps” while still “...providing cutting-edge fitness monitoring capability....” The use of a built-in baseball cap, meanwhile, offers users a measure of sun and glare protection, making it an excellent alternative for many outdoor sports. Some have even referred to it as being like “...a natural extension of the athlete's body,” a point which is actually quite difficult to dispute. Since the device not only tracks body temperature but also movement and several other points, and all from its sole point of interaction on the user's forehead, it indeed fits that particular bill. An accompanying app helps to keep the information straight and on track. TMC CEO Rich Tehrani cited the “...ingenuity and excellence displayed by Spree's groundbreaking work on the SmartCap” as one of the primary reasons the device took the rating. Having written a review of this device recently, it's safe to say that there are many reasons the Spree SmartCap would take home such honors. It really does work, and quite well; it’s more comfortable and more readily useful than other devices that require cumbersome chest straps and the like to operate properly. Though it would have been nicer if that cap was sized better, a tight fit would likely be necessary here to get the most out of it. Still, there's more than enough to recommend the use of such a tool, especially for those who do a lot of working out. There are a lot of devices out there designed to help users keep track of workouts, whether it's intensity, duration, or overall progress being tracked. It therefore becomes particularly important to offer extra benefit in order to distinguish oneself from the pack. For some devices, it's low cost. For others, it's extra features. Others still turn to form factor. A device like the Spree SmartCap, meanwhile, elevates itself above the competition by offering both extra features and an unusual form factor that just works better than some of the alternatives on hand. The Spree SmartCap is indeed one impressive piece of hardware, and in a market full of fitness trackers, has more than earned itself the benefit of a second look, not to mention plenty of accolades from outside sources.